WORCESTER, MA – Late January typically doesn’t bring the kind of weather associated with music festivals to central Massachusetts. But the bitter New England winter wind notwithstanding, the mood at the multi-stage Birds of a Feather Festival was as carefree as a summer beach party. Thousands of fans crammed inside the 90-year-old Worcester Palladium for four straight hours of jam and alt rock sounds on Friday January 25th, and although summer vibes resonated throughout the building, the reality was that being indoors, Birds of a Feather offered no visual variety beyond the stage. With no mountain views, no surfside background, and no tall trees flanking the stage, eyes seldom wandered from the performance area. 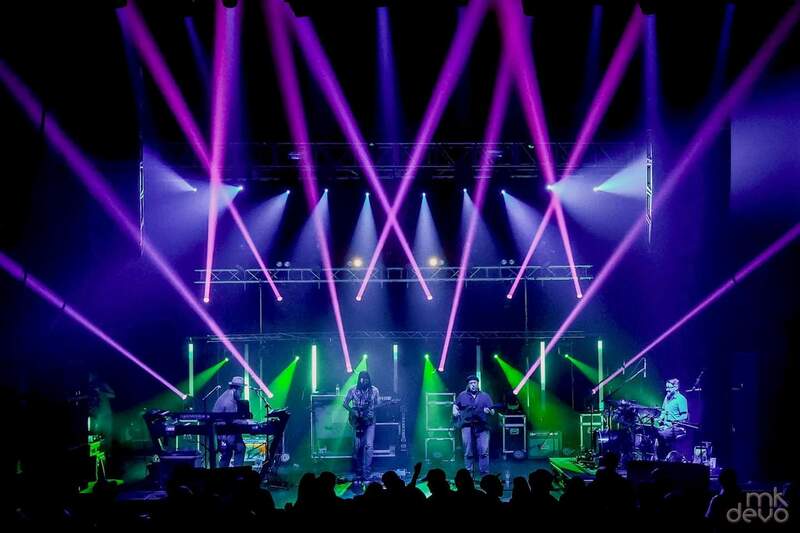 For Vin Pugliese, lighting designer for the Main Stage, which featured The Lizards, Jazz is Phish, lespecial and Pink Talking Fish, this meant focusing on creating visual variety throughout the evening. He accomplished this goal with flying colors (not to mention an array of captivating light angles) with help from a rig anchored by over 40 CHAUVET DJ fixtures. Joining the Intimidator Hybrid 140SR fixtures in the rig were 20 Intimidator Wash Zoom 450 IRC fixtures, 16 Intimidator Spot 250 LED units, 4 Shocker 2 blinders, and 8 Freedom Par Hex-4 RGBWA-UV par-style washes. Drawing on the UV lighting of the latter fixtures, Pugliese was able to effect some dramatic changes to the appearance of the stage during the evening. 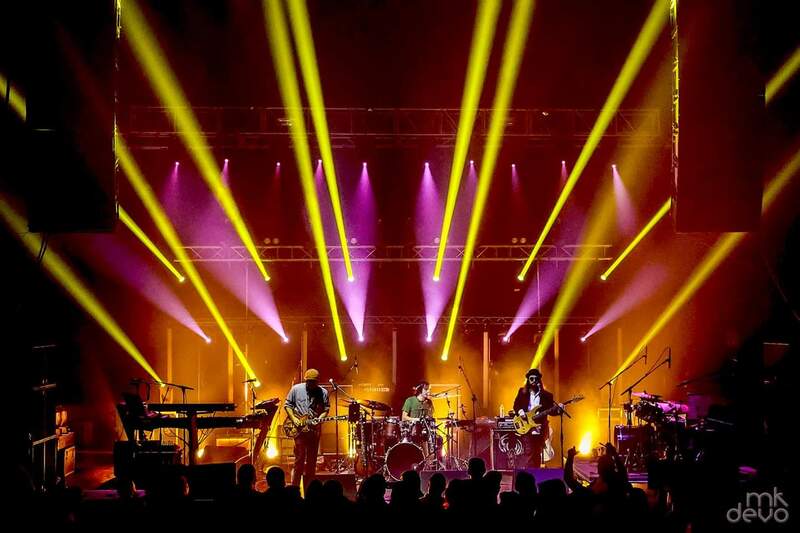 Regardless of the whether the design at any one moment was symmetrical or asymmetrical, Pugliese kept his lightshow fast, moving, colorful and in sync with the bands, creating an anything-is-possible summer feeling, even in the middle of a New England winter.